Up until now we had our web site optimized for the following browsers: Safari 5.1 and higher, Chrome 17 and higher and Firefox 10 and higher. That left a large player out of the list: Internet Explorer. We have been working on that omission and are happy to add Internet Explorer 9 to our list of browsers. 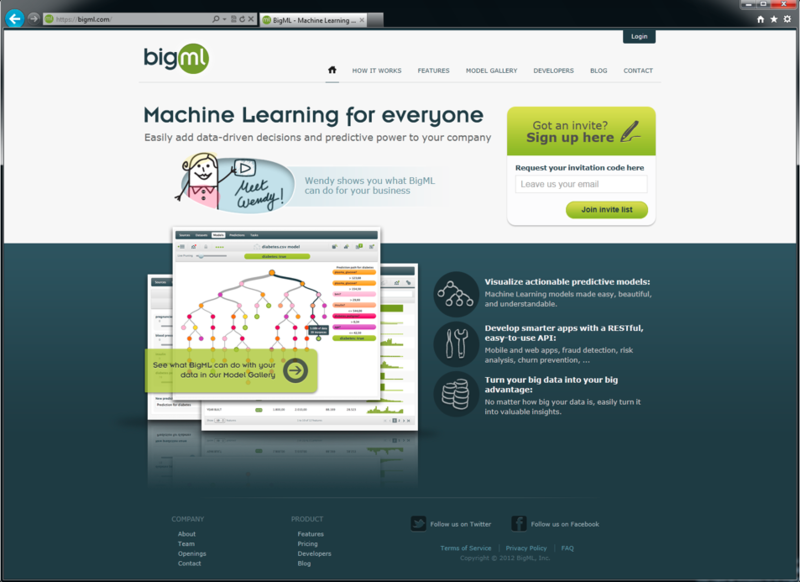 So if IE9 is your browser of choice, you can now use it to create and explore your predictive models in BigML!